Please DON'T keep pushing your old post to the latest date. Give chance to others. If persist, post will be deleted. Please DON'T use the posting for your own blog promoting purpose/business purpose. A reminder to please remember to include your EMAIL or CONTACTS in your post. Cluttered closet and still got nothing to wear? 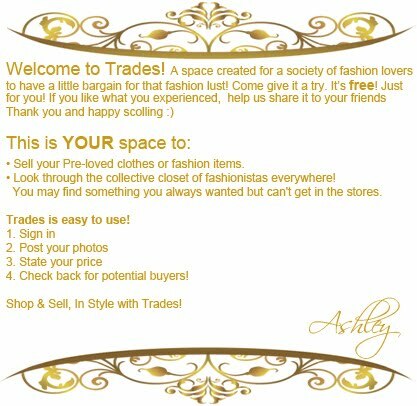 Sell your pre-loveds with other fashion lovers! BRANDEDS! LV, Coach, Guess, etc.